The drowning of a young shepherd and his brother at Gripdyke, Lochlee. 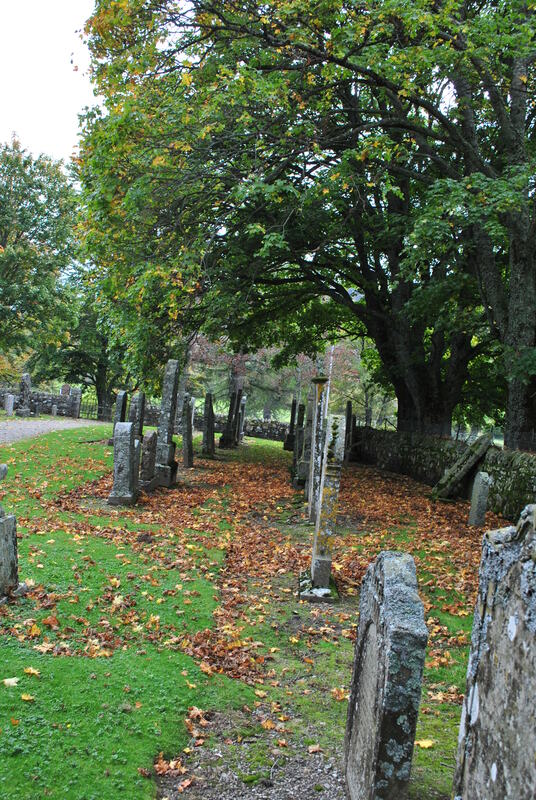 The first body to be interred in the graveyard of the new church of Lochlee was the Rev Inglis‘ mother in 1808. Many deaths followed, a few still very vividly remembered in the area for their futility and tragic circumstances. It is always harder to bury ones children. 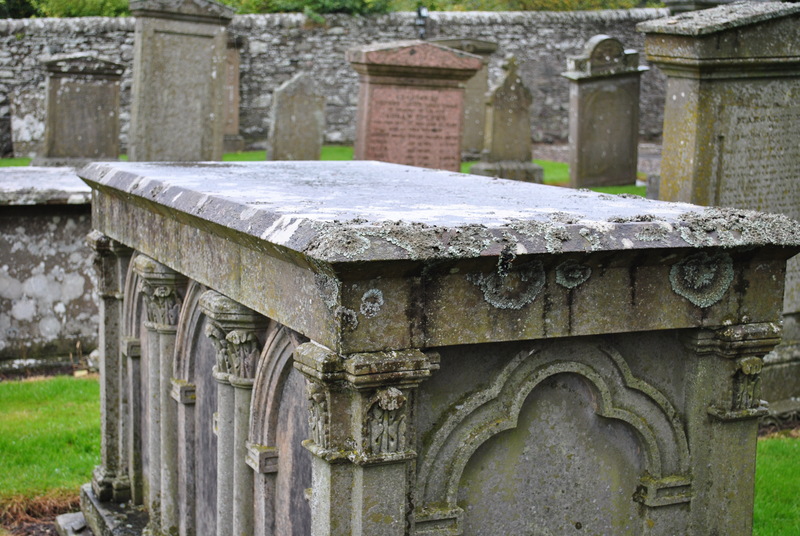 There was a young man from Aberdeen, who perished in the snow in 1810. 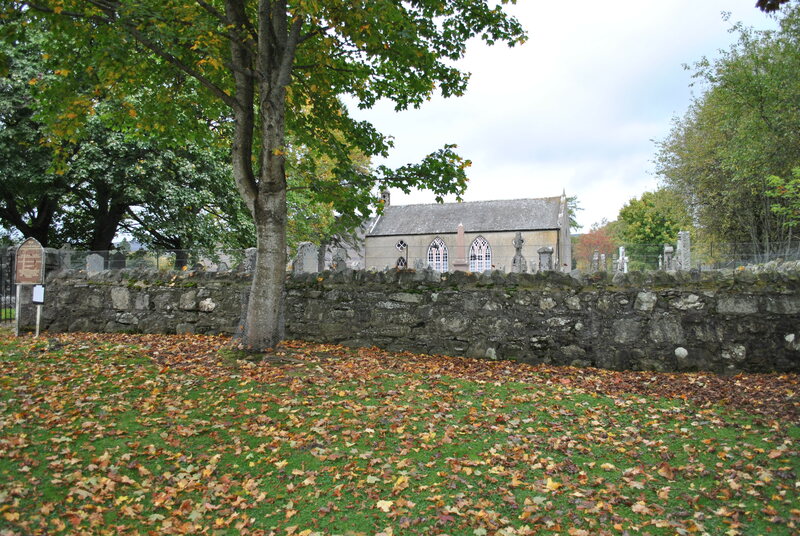 But the more tragic loss to the community was the two shepherds, brothers who had died on the same day and were buried here in this graveyard a few days later. 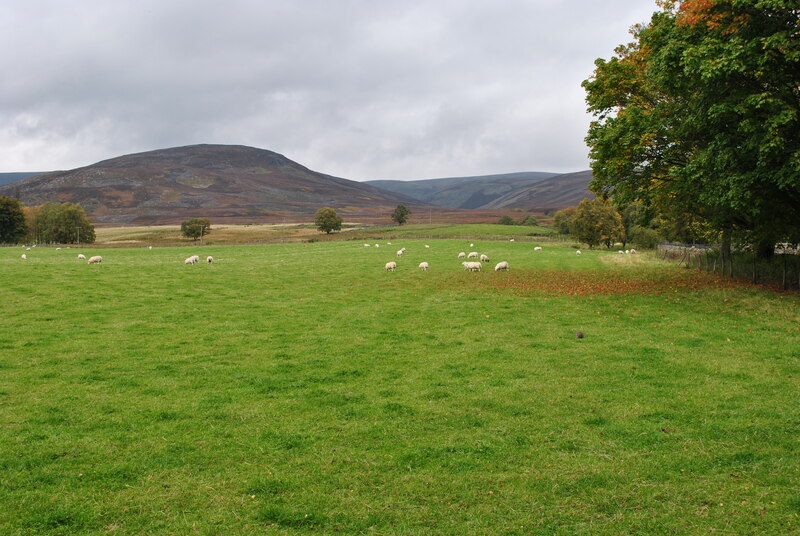 The two brothers lived in Glenbervie. One day they got ready to assemble their sheep to be taken to Culllew Market, held in the Parish of Cortachy at the beginning of October. A sheep dyke meandered along the river’s edge, where the two brothers wanted to cross; a spot, where the Mark was narrow enough to be negotiated with just one leap, a thing done many times in the past by both brothers. But the rock on the other side was wet and slippery. Archibald, the younger of the two brothers, went first and leisurely jumped with his hands in his pockets, he slipped and was unable to regain his balance because he could not use his arms quickly enough to steady himself and find his balance. He fell into the Mark. The water level was high and the current sucked the boy under and carried him towards an abyss from where he should find no way out. His brother David did not hesitate and jumped after him, thinking of nothing but his brother and the need to rescue the boy; an impossible try. The water was stronger than both of the shepherds. The brothers died, Archibald aged 18, David was ten years his senior, both dead because they had been too careless. The fatal spot has locally been known as Gripdyke ever since, the dyke where the younger brother lost his grip and his brother died trying to rescue him.